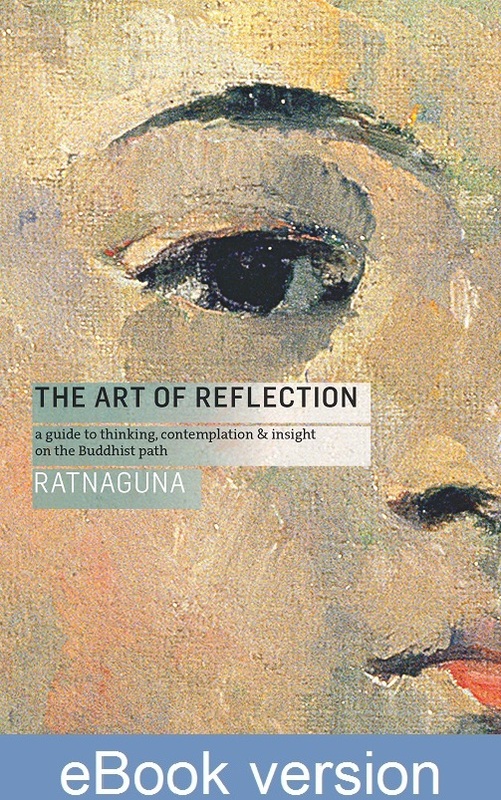 Drawing on his own experience and on Buddhist teachings, Western philosophy, psychology and literature, Ratnaguna provides a practical guide to reflection in its many forms. The ability to reflect – to think about and consider ideas, actions and experiences – is what makes us truly human. It is also one of the most important practices in the Buddhist tradition, yet strangely there is very little literature on how to go about it. Like any art, though, reflection can be learnt and developed, leading to a deeper understanding of life and to the fullness of wisdom. This is a book about reflection as a spiritual practice, about its importance, about ‘what we think and how we think about it’. It is a book about contemplation and insight, and reflection as a way to discover the truth.